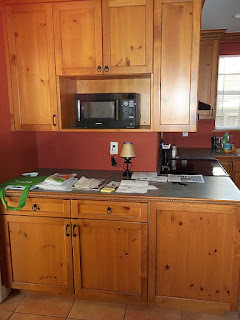 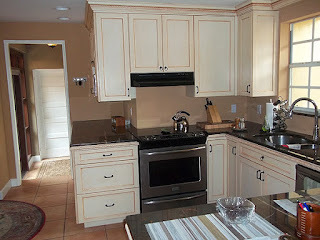 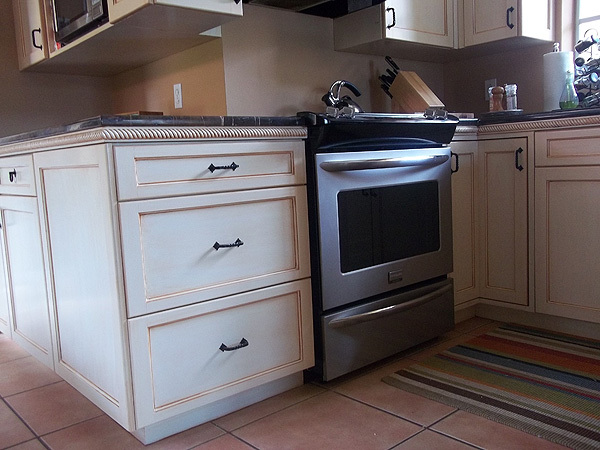 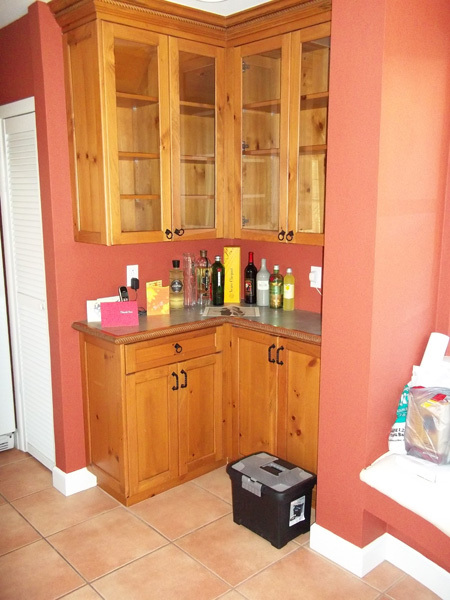 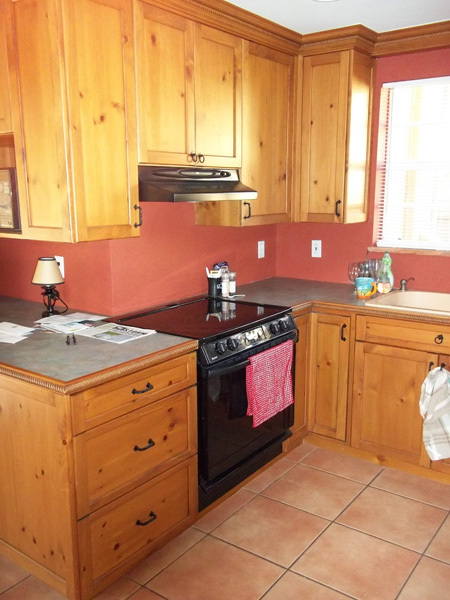 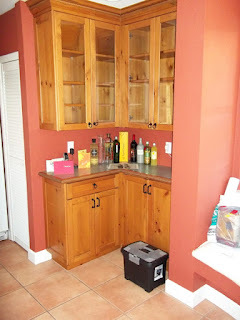 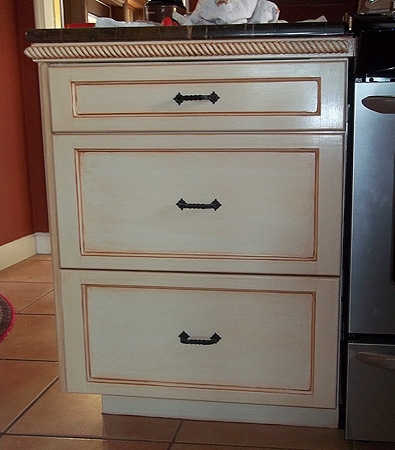 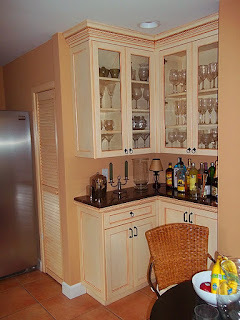 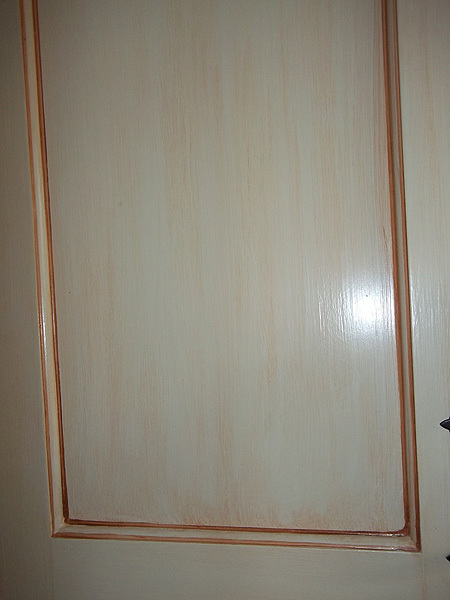 Here are a series of before and after photos from the painting of the kitchen cabinets I recently completed. 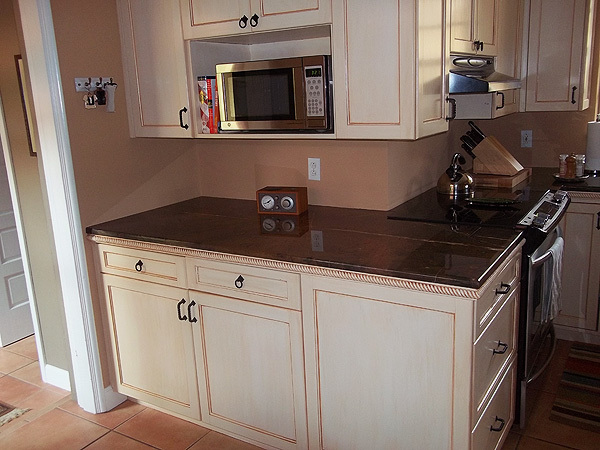 With a subtle finish like I created on these kitchen cabinets it is very hard to photograph so the first photograph is an attempt to show the faux finish. 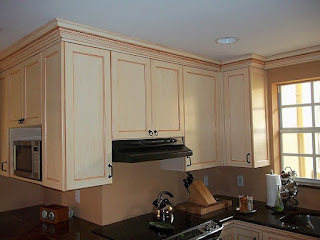 You can see how frame around the center panel was treated with the dark lined 'piping' and then a hand rubbed finish was applied to the whole surface of the doors (front and back) and the framework of the kitchen cabinets.